A few weeks ago I got a call from a nonprofit with a dilemma. A company approached them about a cause marketing campaign on social media. Great, right? But there was one issue. The campaign involved some pretty strong language, and the nonprofit wasn't sure if they wanted to move forward. Should they connect their cause with cussing? I encouraged them to go for it, but they turned down the partnership. So, I've been thinking: Is it ever okay to swear in your cause marketing? 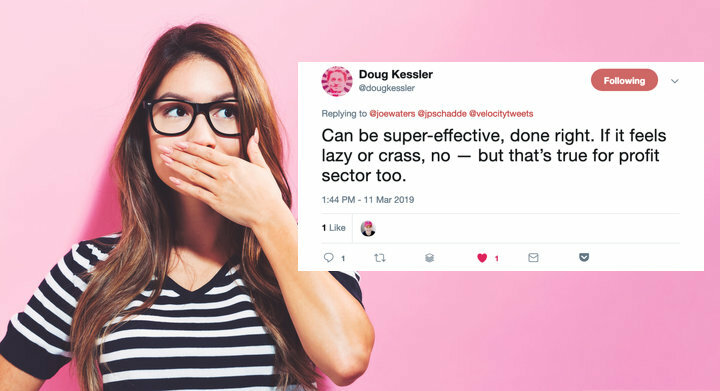 Then I came across a presentation from a UK content marketer I admire, Doug Kessler. Doug's riff on swearing in marketing begins at about the 39:30 mark and runs less than ten minutes (Umm...if you don't like swearing don't watch it). Doug admits that he and his team are a pretty "sweary" people. Still, he doesn't think you should just drop F-bombs for the fun of it. You need to be strategic! Doug makes a few interesting points. 1. As marketers, we need to be willing to break conventions to see what happens. Swearing - or just being negative instead of positive all the time! - is one way to do this. 2. Research shows that swearing lights up our brain in a whole different way. Ding ding ding! 3. Research also shows people swear a lot. It's not quite as taboo as we all think. But we tend not to swear in marketing for some reason. 4. It's all about knowing your audience. If your audience isn't "sweary," don't swear. But don't just assume they don't swear either, or that it wouldn't be effective if you did. I reached out to Doug via Twitter and asked him what he thought about nonprofits swearing. His tweet is above, but what do you think? Is it okay to swear in your cause marketing? Have you seen swearing used effectively either in a cause marketing campaign or by a nonprofit? Hit reply. I'd love to ðŸ¤¬hear about it! 1. The reputation of the most visible brands in America. An interesting list that you can sort by type of company. What does the evolving socio-political climate mean for the cause landscape nationwide? Check out this FREE WEBINAR. 2. People Magazine had a nice round-up of 19 products that benefited women's causes on International Women's Day. 3. The scoop on why many businesses are becoming more vocal in support of LGBTQ rights. 6. Super 8 Hotels has found its cause: Don't Drive Drowsy. 1. 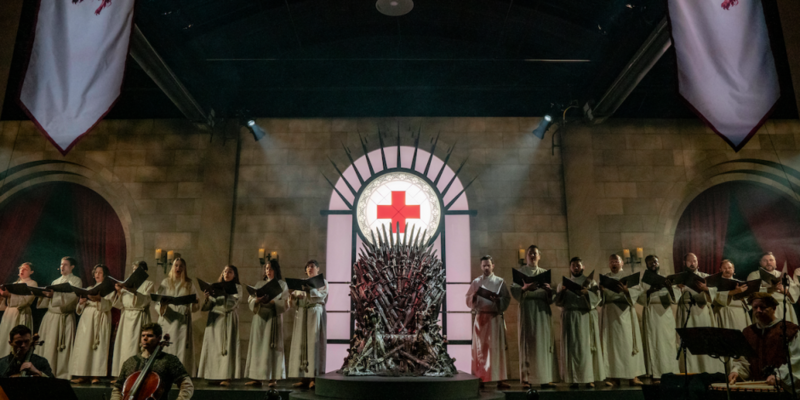 Okay, the Red Cross' partnership with Game of Thrones at SXSW is fricken awesome. But it's not just happening at SXSW. Game of Thrones branded blood drives have been taking place across 43 states throughout February and March. 2. A hashtag can be powerful. This hashtag went viral last weekend, inspiring young people all over the world to buy a box of garbage bags and post photos of themselves cleaning up their local parks, beaches, and wilderness areas. Interestingly, the hashtag originated from a cause marketing campaign from a camper gear company way back in 2015. 3. A national park ranger bought a a $5 typewriter at Goodwill and set it up in The Grand Canyon National Park. The result? Love notes, which became the Towers & Types Project. 1. Blackbaud's chief smartie Steve MacLaughlin reflects on the end of the beginning of online giving. 2. If you are a true corporate partnership fangirl or boy, you have asked this question before. I know I have! 3. Just for fun...What was the bestselling book the year you were born?